Shauna is using Smore newsletters to spread the word online. We are thrilled to announce some very special guests who will be joining us at Edcamp Magic, adding a little sprinkle of fairy dust to our event. Join us for an innovative session, an interactive panel where you can ask questions to Disney experts Jim Korkis and Lou Mongello. Edmagineer and Author Shauna Pollock will be moderating this engaging panel where participants will have a chance to explore the intersection of Disney and innovative teaching and push their thinking to the next level. EdcampMagic has grown out of a love for edcamps and the innovation and creativity of Walt Disney. Our plan, simply put, is to have an AMAZING time making connections with educators in one of the most magical places on Earth. We would love to have you join us in person at Windermere Preparatory School on June 4th, 2016! 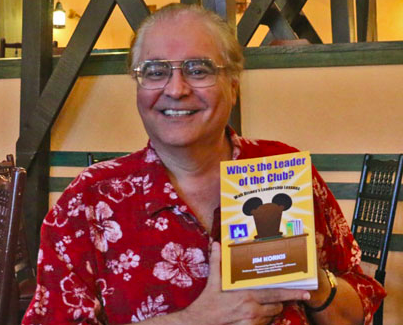 Jim Korkis is a well-known Disney historian with a wide-ranging expertise on all topics Disney. He has written a number of books from his unique point of view as fan, Cast Member, teacher and historian. Jim Korkis grew up in the Los Angeles area and since the age of five, was a frequent visitor to Disneyland. He was an original member of both the Mouse Club and the National Fantasy Fan Club. He attended all the local conventions where he had the opportunity to interview many of the people who actually worked with Walt Disney. Jim describes his house as looking like "a toy shop and a bookstore exploded and I decided to live in the remains." 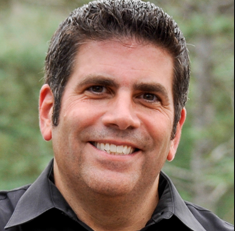 Lou Mongello is a widely recognized Walt Disney World author, Disney expert, host, speaker and entrepreneur. He is the host and producer of the WDW Radios show, which has been named the Best Travel Podcast by the Podcast Awards from 2006-2014. Through online communities and an established brand, WDW Radio promotes, "the magic of Walt Disney World" through its numerous media channels, which include audio podcast, live video broadcasts, video segments, blog, email newsletter, discussion forums, special events, live events and more. Mongello is the author of the Walt Disney World Trivia Book series, 102 Ways to Save Money For and At Walt Disney World, andAudio Tours of Walt Disney World, which he also narrates himself. Lou is also the founder of the Dream Team Project, which sends children with life-threatening illnesses to Disney World. Shauna Pollock is an educator, author and consultant who devotes her time and energy to helping people discover their passions, learn and make magic for others. 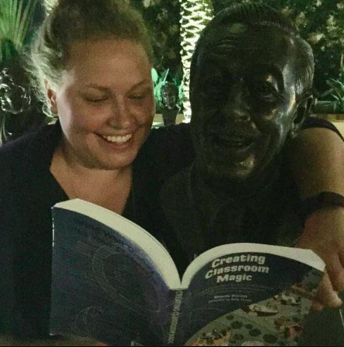 She is the recipient of the Prime Minister's Award for Teaching Excellence and author of Creating Classroom Magic: Using Lessons from the Life of Walt Disney to Create an Experimental Prototype Classroom of Tomorrow. Shauna lives in Toronto and is an Edmagineer and helped to coordinate Edcamp Magic 2016.